You may learn about past lives you have experienced there, and it aids you to heal situations that may be of a karmic nature. This helps you to stop the ongoing need to keep reliving these situations. 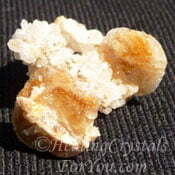 These crystals have the advantage of being one of the group of stones known as Zeolites. The meaning of the name of this stone, simply relates to the name of a man that it was called after, a collector named John Henry Heuland. 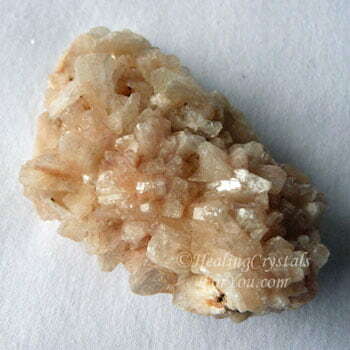 This stone is in the zeolite family and is said to be related to a zeolite mineral called clinoptilolite, and often occurs in combination with Stilbite crystals. 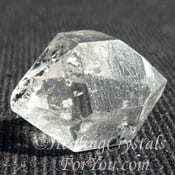 The largest amount of this stone is found in India, but it is also found in Iceland. Their color may be red, yellow, black, brown, gray, pink, peach, white and green. 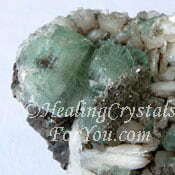 The two most prolific colors are the green crystals and what are called the 'white' stones. 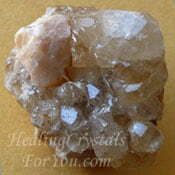 The peachy 'white' crystals from India are commonly known to form on a base of pure white Mordenite stone, which is a stark contrast to the color of the crystals. 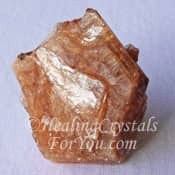 Crystals that are colored pink or peach, may be labeled as 'white' stone, as the metaphysical qualities of the pink, peach and white Heulandite are very similar. 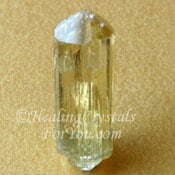 The energy of both prominent colors of this crystal, white or peachy colored and the green stone is of a strong vibration. 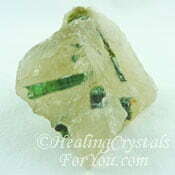 Information about the 'white' colored stone is covered first, or you can read about Green Heulandite here. 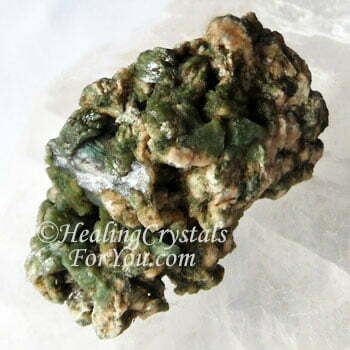 Why Would You Use This High Vibration Stone? 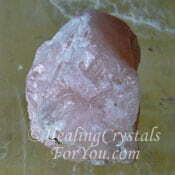 Both colors of this stone are of a very high frequency. Using either color in meditation is very powerful. They both are excellent for assisting you to focus your thoughts. 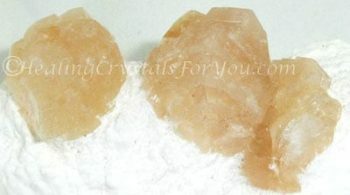 As the metaphysical character of the pink, peach and white crystals are very similar, these stones that are colored pink or peach, may be labeled as 'white' stone. 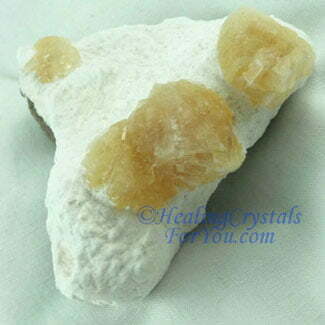 White Heulandite has a frequency that is similar to that of Herderite, and works particularly within the third eye and the crown chakra. 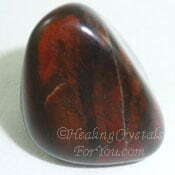 This is stone aids you to connect to the akashic records and has a strong energy within the third eye and the brain. While there you may be able to access past life information. 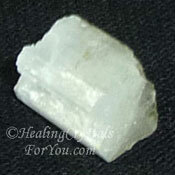 By accessing this information it may enable you to heal issues in your present life. These issues my be of a karmic nature, and this may be your opportunity to release past life pain, caused by blockages, related to past life events. 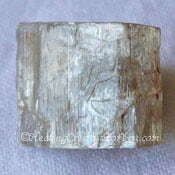 Combined with Lemurian seed crystals it may bring memories of Lemurian past lives to your awareness. This combination may help you to resolve karma attached to them. There are some differences in the way that the different colored stones direct your thoughts. 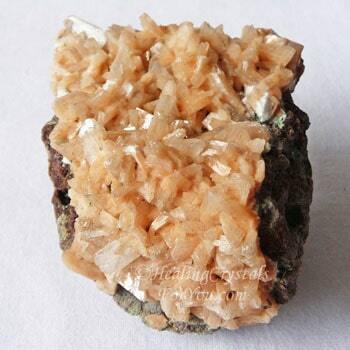 To aid you to journey back into your past lives, specifically those of ancient civilizations such as Atlantis, Lemuria and Ancient Egypt, the 'White' Heulandite is an excellent tool. 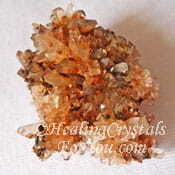 Both colors have a strong level of crystal energy and are powerful for aiding you to making major changes in your life. 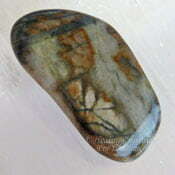 One of the most amazing ways of using these stones is by combining both the green and white crystals together. As you bring these two energies into rapport, their vibrations meld, and create a beautiful vibration that locks together your mind, heart and soul, creating an extraordinary spiritual activation. 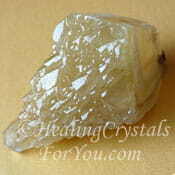 As mentioned in the section above, using Lemurian seed crystals with White Heulandite is an excellent combination. The blend of the energy of these two stones is an excellent aid to help you to remember your Lemurian past lives, and help you to resolve the attached karma. 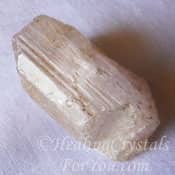 Use them with Natrolite to create a greater level of energy for inter-dimensional travel and with Herkimer Diamonds to journey back to Atlantian times. 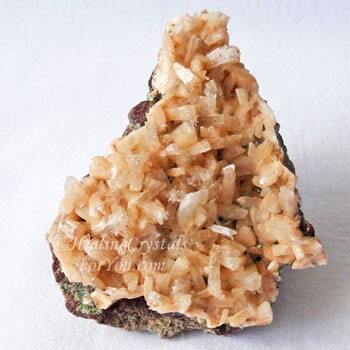 You may choose to combine these crystals with the energy of Rhodizite, Cryolite or Golden Herderite or Axinite, and you may find your overall level of brain stimulation to be extraordinarily potent. 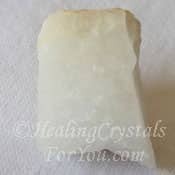 When you combine the 'white' variety of this crystal with other high vibration stones, this will move your development forward very quickly, as they all emit very strong vibrations. Phenacite, Clear Apophyllite, Creedite, Satyaloka Quartz, Merkabite Calcite, Stellerite and Stellar Beam Calcite also combine well with the white stones. 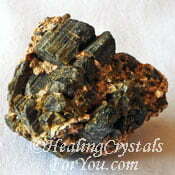 These lovely stones are excellent healing stones with useful healing attributes. As they are zeolite stones, they are most well known for their action to release toxins, and to help with water retention. 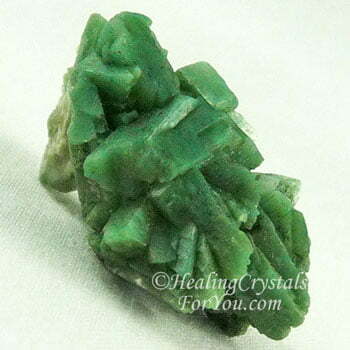 The green stones are excellent healing crystals for you to use as they have a strong action to aid the healing of heart related health problems. The white stones has a good action to aid issues related to the brain, including the brain, nervous system and the glandular system. 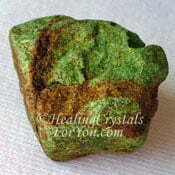 Both colors may be used to assist the healing of growths, and may help with weight loss and problems in the feet. 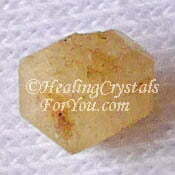 To aid weight loss, combine either color with other weight loss crystals. 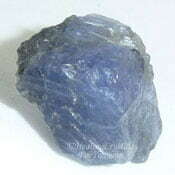 Stones that are useful for this purpose includes as Yellow Apatite, Picasso Marble, Epidote, Gaspeite, Cerussite, Diaspore, Iolite or Green Tourmaline. 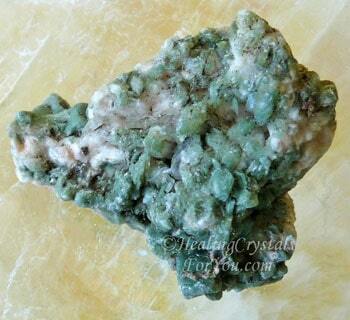 Green Heulandite has an energy that connects you to your heart chakra, and to the energy of the heart of Mother Gaia. 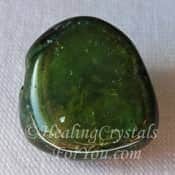 The green stone encourages your vibration to change, and as you become spiritually awakened to come into rapport with the earth and all that is. 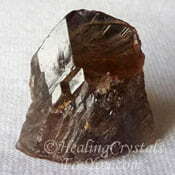 This is a powerful awakening that this crystal may induce, and through this may create a powerful healing process within the emotional body. 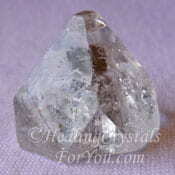 The lovely energy flowing through you aids you to become more compassionate towards others. It's energy stimulates the higher heart, aiding you to feel compassion for others and from that assists you to forgive experiences that you are still holding on to negative feelings about. This is especially true when you recall those who you feel have done wrong to you, and this energy is epitomized by the feeling of grace that may be engendered. 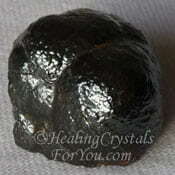 This stones energy is very calming to the emotions and encourages you to develop feelings of love. Negative emotions and feelings may fall way, as you release emotions such as anger, fear, jealousy and patronizing beliefs such as feelings of superiority. 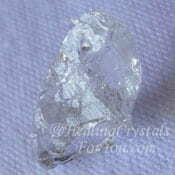 It is possible to buy these stones at specialist crystal suppliers, but they are not as common as other crystals. Regardless of whether you use the white and green stones together or only one of them, the best way to use them is in meditation. By doing a daily crystal meditation with these stones, going into the silence and having them close by, their vibration will be the most effective. 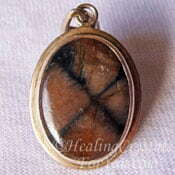 In combination these two colors of this stone work to create an amazing harmony of energy, that has some excellent healing outcomes. 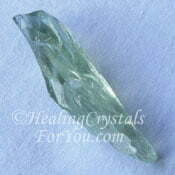 Using this high vibration crystal creates effective results, regardless of whether you use one of them alone, or both together. By its action to release feelings of resentment and judgment of yourself, it will aid weight loss and stimulate healing of growths. 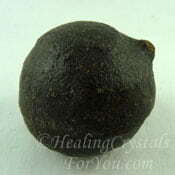 It enhances blood flow to the lower body, and this may assist the liver, kidneys and bladder. 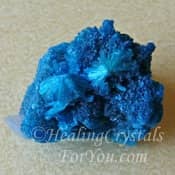 Both colors of these crystals are powerful to use in their own right, yet used together, spirit has given us the gift of a wonderful combination! Use them when you can in meditation, but simply having either, or both of these stones in your environment, is an effective aid to move your life forward. "I do not want the peace that passeth understanding. I want the understanding which bringeth peace." Helen Keller. 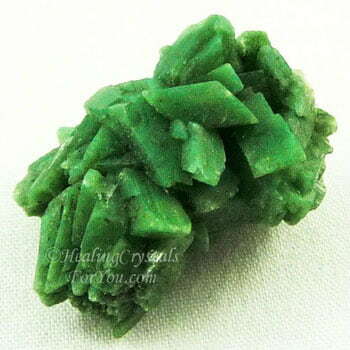 Green Heulandite blends well with many of the green crystals that are stones that encourage your connection with the energy of the earth. 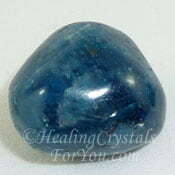 It also combines well with many of the other heart chakra stones. 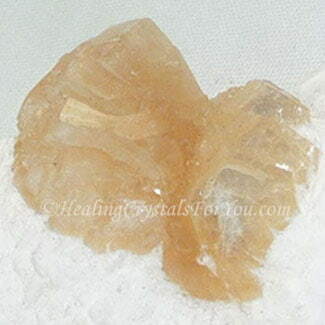 In harmonizes particularly well with the higher vibration heart based stones such as Pink Petalite, Pink Danburite and Pink Datolite and as well as with other pink heart based stones such as Pink Morganite, Pink Tourmaline and Kunzite. 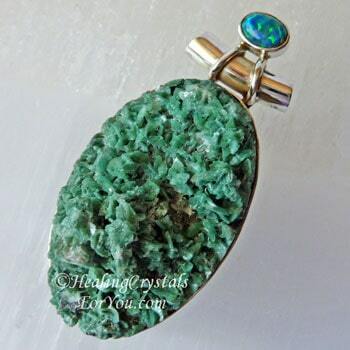 It also blends well with the green heart based stones, such as Green Apophyllite, Prasiolite aka Green Amethyst, Green Tourmaline and Gaspeite. 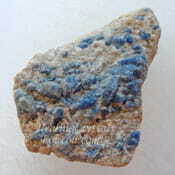 You may use it with other stones that aid access to the Akashic records, including Blue Apatite, Chiastolite, Cavansite, Creedite, Shaman Stones, Petrified Wood, Afghanite, Goethite and Apophyllite of any color.